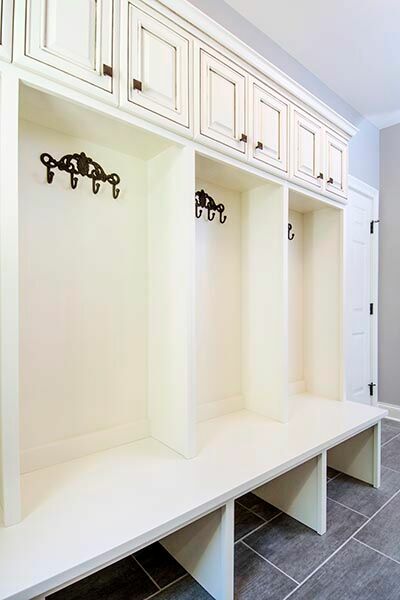 special function rooms such as mud rooms are becoming. With winter around the corner, and mud, snow, and salt making its way indoors via our feet, they are returning as a high priority among homeowners. Prized for organizing all manner of gear, from backpacks to tennis rackets, mudrooms also double as spaces for chores as diverse as doing laundry and potting plants. As we stated, they act as an intermediary between the dirt and germs that reside outside the house and the freshly swept and dusted surfaces inside. We recommend you carefully consider how you’ll use it and how much square footage you can realistically allocate for it. For families with kids, more space might be needed with shelves for stashing school supplies and sports equipment off a side or back door may be in order. We take pride in tying a new home addition into your existing space. We want to ensure that it is seamless and looks like it has always been there. NJW has the best staff to handle your project! We currently build in, Upper Arlington, Powell, Pickerington, New Albany, Lancaster, Bexley, Gahanna, Westerville, Worthington, Whitehall, Dublin, Hilliard, Columbus and all of Central Ohio. Contact us today!